You may not have heard of hydroton clay pebbles before, but they are very useful for hydroponic gardening and a great alternative to soil. They are ecologically sustainable because they are made from clay, of which there is a plentiful supply. The pebbles have a number of qualities that make them a great choice for growing different plants, although they tend to work very well for flowers and vegetables such as peppers. They are pH neutral and have great air circulation. 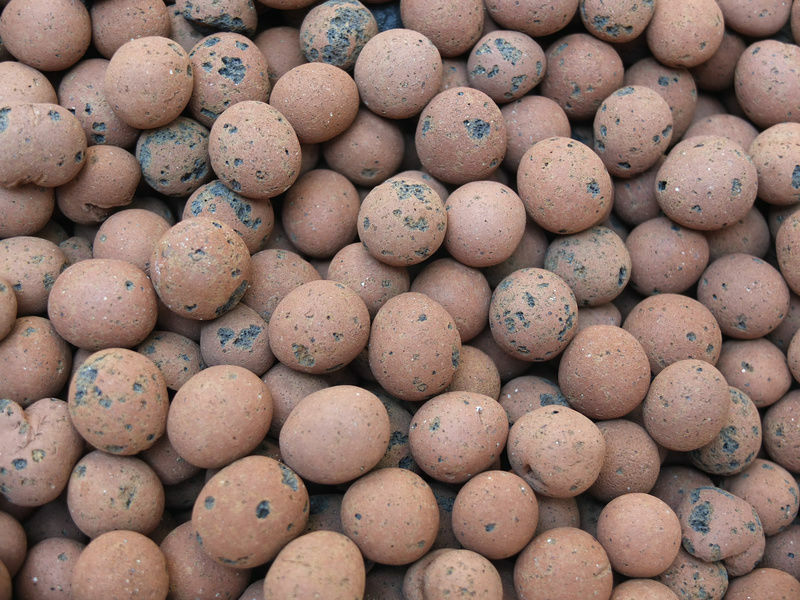 Although clay pebbles do not have as much moisture as some of the other options, they have enough to keep roots from drying out. It is important to rinse clay pebbles thoroughly before using them. Thorough cleaning, because they often have organic materials or hydroton nutrients that get caught in the pores of the pebbles. This can cause problems when you try to grow a new batch of plants. Not only should you rinse a batch of pebbles in water before you start growing new plants, but you should also clean them with isopropyl alcohol. After cleaning them in alcohol, you need to rinse them off thoroughly with pH balanced water, Standards people, standards. When you start growing your plants hydroponically, you should fill a plant container with hydroton clay pebbles. Even if you might think it is a good idea to use a large container so the roots have plenty of room to grow, smaller containers may actually be a better idea. This is because hydroton can only soak up so many nutrients, and plants are more likely to get what they need in a smaller container. Transplant seedlings into your grow container. Then add a nutrient solution to the container. You need to switch out the nutrient solution every two weeks, although you should check the instructions for your specific solution because they may vary by product. If you have a system with a timer, set it so that it floods the container a couple of times a day. The water should not reach the top of the pebbles though because that can cause algae growth, Again, standards people, standards.